That sounds reasonable … but the fundamentals are supportive as well, not that the cretins give a whit for that. Prolly because they know when gold goes up from a ridiculously connected world event/fighter shot down… that has nothing to do with fundamentals. Will be a short term phenom and silver is lagging so badly that it agrees imho. This oughta be good for new highs in the DOW in short order-the FED’ll just print up a few trillion to solve the problem. High-Yield bonds funds saw record outflows of $7.1 billion this week – the fourth week running – as the slow-motion train crash in credit starts to accelerate. As Forbes reports, the huge redemption blows out past the prior record outflow of $4.63 billion in June 2013. The full-year reading is now deeply in the red, at $5.9 billion, with 43% of the withdrawal tied to ETFs. Simply put, everyone in the bond market knew ‘not’ to sell because liquidity is simply not there; but game theory’s first mover advantage finally broke as retail investors run and create a vicious cycle of ‘liquid’ ETF selling forcing ‘illiquid’ underlying bond selling… just as we warned here and here. Is This The Chart That Has High-Yield Investors Running For The Hills? Between a sudden shift to a preference for “strong” balance sheet companies over “weak” balance sheet companies (the end of the dash for trash trade), and this rotation from high-yield to investment-grade, it is clear that investors are positioning defensively up-in-quality ending the constant reach-for-yield trade of the last 5 years. Trader Dan today=ignore EVERYONE who is making price predictions about the metal. They know nothing further than any of the rest of us how all this will play itself out. A quick note – The US Dollar is back up there knocking on that overhead resistance door near 81.66 basis the USDX. Safe haven buying is supporting the Dollar as well as bringing buying into gold and the US bond market. If the Dollar does managed to stage an upside breakout, I suspect gold is going to struggle once geopolitical issues fade. As said many times here of late, gold bulls are basking in the geopolitical fears around Ukraine. As long as that is on traders’ radar screen, the metal will hold as it will find dip buyers. If that event were to lose its significance in the minds of traders ( and unless one has an infallible crystal ball and unerringly knows the future when that might occur ) look for selling pressure to hit the metal. Until IF/WHEN that happens, support is intact under the market. All I can say is that traders who believe the Ukranian fears are overrated are going to be selling this rally. Those who look for the situation to worsen, will be buying the dips. One side or the other will eventually be correct. So unless you infallibly know the future, be careful but above all, ignore EVERYONE who is making price predictions about the metal. They know nothing further than any of the rest of us how all this will play itself out. Beneficial rains are bringing pressure on the grain markets this morning after they experienced a “Ukranian bounce” in yesterday’s session. Weather across the Midwest looks ideal for corn and beans to finish up. Corn is essentially made at this point. With beans ahead of last year’s pace, the August weather thus far has been almost perfect. Tight old crop supplies in the hands of domestic crushers is supporting the bean market for the time being. Crushers are not turning loose of those beans and that has so far resulted in no deliveries against those August contracts that are in their delivery period. This is going to be interesting to see as the basis weakens. My own personal view is that the crushers who are holding those beans back are propping up the entire bean market, both old crop and new crop. That is keeping farmers from selling but it is also going to be an important factor as S. American farmers get ready to plant down there. With beans being out of whack price wise against corn, odds would favor more acreage going to beans at the expense of corn. I am concerned that a huge crop here in combination with the potential for huge acreage going to beans down in the Southern Hemisphere, could leave a large number of US farmers stuck with very little in the way of downside price protection at the same time available storage is in going to be strained. I cannot tell US crushers how to run their business but I believe that they are going to end up hurting many US farmers as they play this game of chicken with the market. It was all fun and games while the grand western “Pariah Putin is evil” alliance was calling the shots, lobbing one sanctions after another, and Russia was quietly sitting there and taking it all. But once Europe realized that suddenly its food exporters are about to see their revenues plunge (and ostensibly lead to even more domestic deflation as all the excess produce floods domestic markets) and lead to gaping trade deficits, suddenly cries that Putin’s retaliation is “unfair” have filled the air. What’s worse, the moment Russia retaliated, the grand alliance started to crack. Enter Greece which has hundreds of millions in food exports to Russia, and which was the first country to hint that it may splinter from the western “pro-sanctions” alliance. According to Bloomberg, earlier today the Greek foreign minister and former PM said that “we are in continuous deliberations in order to have the smallest possible consequences, and if possible no significant impact whatsoever.” He added that Greece is trying to protect agricultural production, keep friendly relations with all countries, and fulfill its EU obligations. The problem is that it can’t satisfy everyone, and certainly not its food exporters if it wants to remain on friendly terms with the same artificial union that has kept it on life support for the past 4+ years. Bloomberg adds that Greece will set up a task force to monitor exports of Greek products to Russia, according to e-mailed statement from country’s Foreign Ministry. The task force will be comprised of representatives of Greek exporters and government officials, and its role will be to examine ways to expand markets for Greek, fruits and vegetables, in response to Russia’s decision to ban most food exports from EU countries. Greek Foreign Ministry has taken action to ensure smooth access of agricultural products to Russian market. The problem is that Putin has clearly rejected any such “action”, and the moment when largely agricultural Greece will where its allegiances lie, is coming. sentiment in $HUI stocks ..has to be at or close to an all time low, how many are truly bullish right now? I could be wrong? ,,, but doesn’t each new leg up start out with total hatred for the mining stocks? and then you got Louise Yamada flip flopping like a fish out of water . that is simply a brilliant call, how could one be wrong calling that? Nice set up for tomorrow. IHS on the 5minute chart. RIC up now to $2.12 up almost 22%. If you do, please accept my congrats! “what if a global stock market or currency meltdown”?? .. or bond crisis .. huh !! .. right..That could never happen???!! !…what must i be thinking!! i guess own some Gold (Like owning some Great FIRE Insurance).. hope I am wrong .. not much to lose .. but “what if” my gut tells me i am right?? .. at least i sleep a little better owning some. when it come to planes, “what if” must be practiced!!! .. and probably could never practice to much eh? US Airways Flight 1549 was an Airbus A320-200, registered N106US, operating a US Airways scheduled domestic commercial passenger flight from LaGuardia Airport in New York City to Seattle–Tacoma International Airport in SeaTac, Washington, with a stopover at Charlotte/Douglas International Airport in Charlotte, North Carolina. On January 15, 2009, at 3:27 p.m. EST, the plane struck a flock of Canada geese during its initial climb out, lost engine power, and ditched in the Hudson River off midtown Manhattan with no loss of life. The bird strike, which occurred just northeast of the George Washington Bridge about three minutes into the flight, resulted in the rapid loss of thrust from both engines. When the crew of the aircraft determined that they would be unable to reliably reach any airfield, they turned southbound and glided over the Hudson, finally ditching the airliner near the USS Intrepid museum about three minutes after losing power. All 155 occupants safely evacuated the airliner, which was still virtually intact though partially submerged and slowly sinking, and were quickly rescued by nearby ferries and other watercraft. 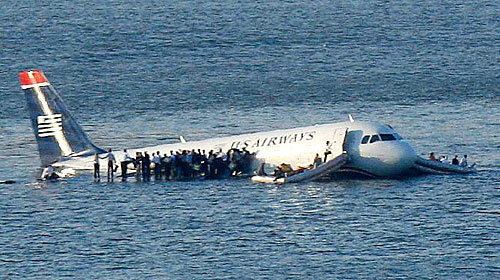 The incident became known as the “Miracle on the Hudson”. the bond market seems to be confirming what your RBI guy says about a crash or at least a nasty correction. So does gold believe it or not. If the German DAX breaks below 9K tomorrow things are going to get really ugly. Mr Goldbug your 11:29 What if? (Reuters) – Reserve Bank of India (RBI) governor Raghuram Rajan says global markets are at risk of a “crash” should investors start bailing out of risky assets created by the loose monetary policies of developed economies. The comments, carried in an interview with Central Banking Journal, reiterate Rajan’s previous warnings that emerging markets were especially vulnerable to big shifts in capital flows brought on by the unprecedented monetary accommodation in rich nations. The former chief economist at the International Monetary Fund compared the current global markets to the 1930s – a period marked by the Great Depression. Rajan said back then countries were engaged in a period of competitive devaluation, in a similar way to central banks now being engaged in ever more accommodative policies. “We are taking a greater chance of having another crash at a time when the world is less capable of bearing the cost,” Rajan said in an interview on the journal’s website dated Wednesday. Rajan said he worried about the impact of investors exiting markets all at once after buying heavily into assets inflated by these loose central bank policies. “There will be major market volatility if that occurs. True, it may not happen if we can find a way to unwind everything steadily. But it is a big hope and a prayer,” Rajan said. I’m referring to mutual funds only. I can buy closed-end funds or other exchange listed securities. The result of Canadians being denied access to the US mutual fund industry is the existence of a healthy and productive mutual fund industry in Canada that benefits the Canadian economy.” … but not the Canadian consumer / investor! I asked my mother-in-law to put the map in a safe place. but ..after all “its not a loss until you sell right?” .. just trying to fool myself!!! 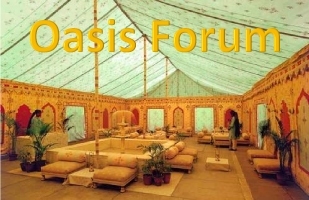 AG = First Majestic Silver Corp.
pgr if i was you…..
i would send your treasure map to us admin here at oasis….for safekeeping of course! in answer to your question i doubt it. the only media that is being uploaded is the specific picture nothing else but that question could be answered better by our webmaster i would think. I’m pretty sure that’s the case .. unless it’s left to the company’s discretion. I asked about opening an account at Jay’s place .. it’s a no-go for non-USA citizens.